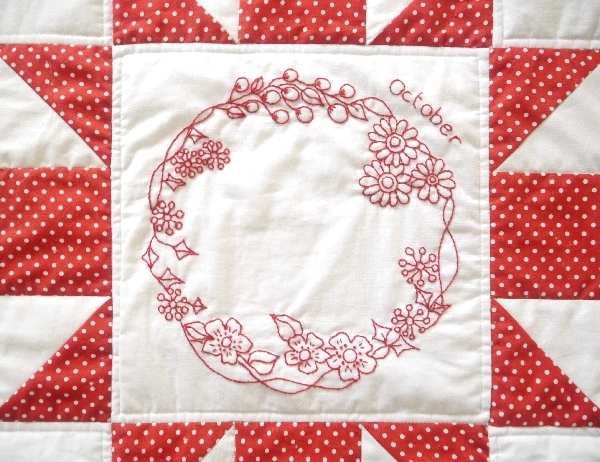 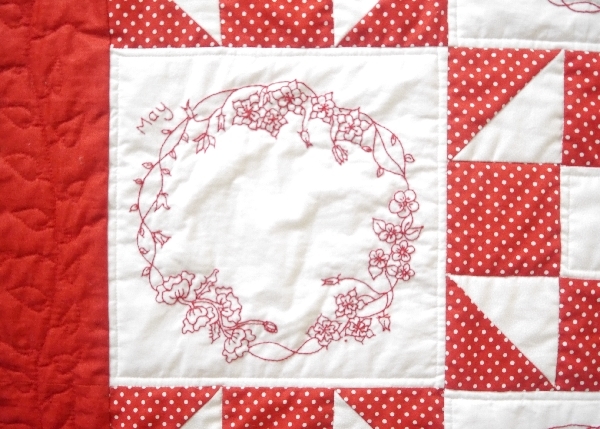 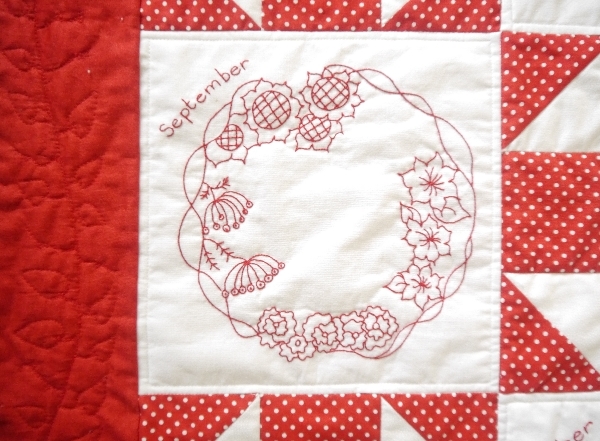 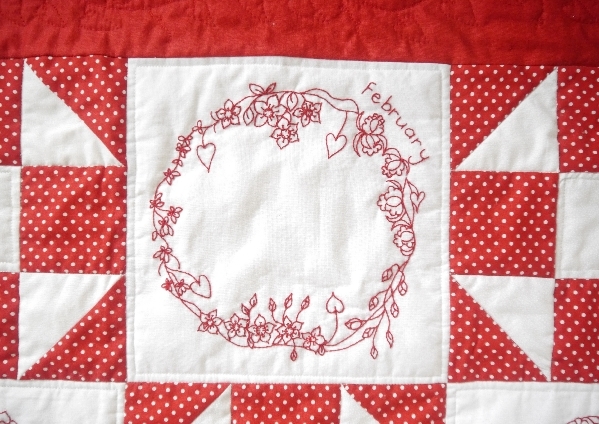 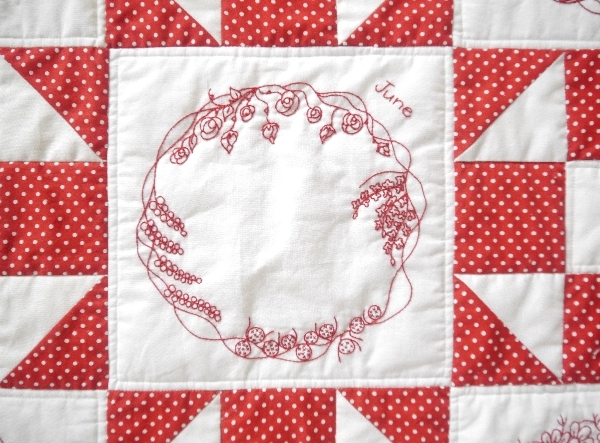 This stunning quilt has been designed by Sue Rhodes to reflect her love of Redwork embroidery and incorportating patchwork blocks too. 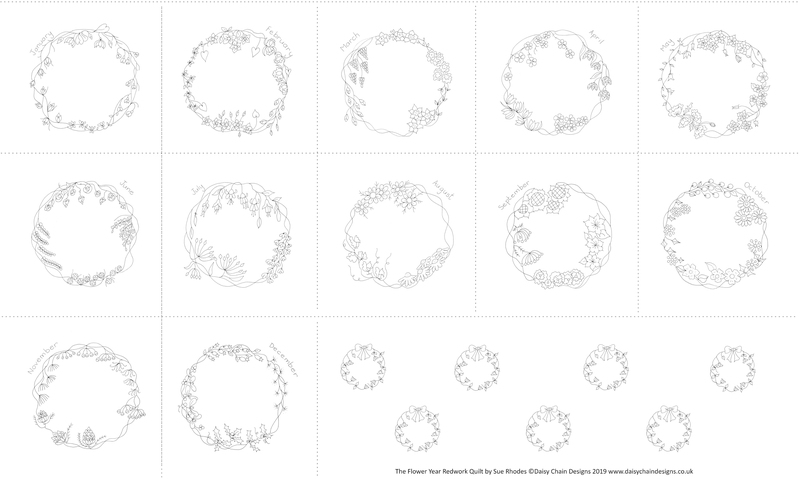 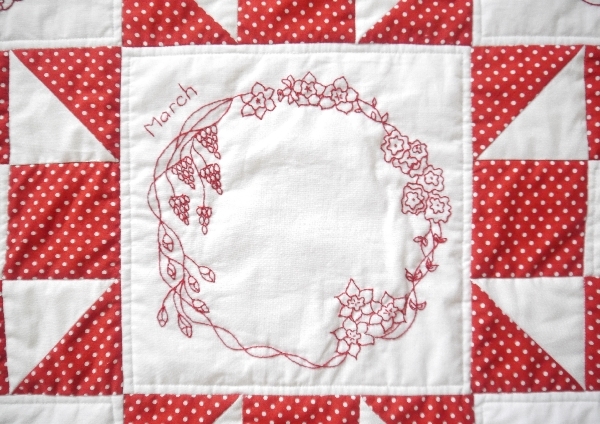 The twelve wreaths are all different and represent the flowers that come into bloom in that particular month. 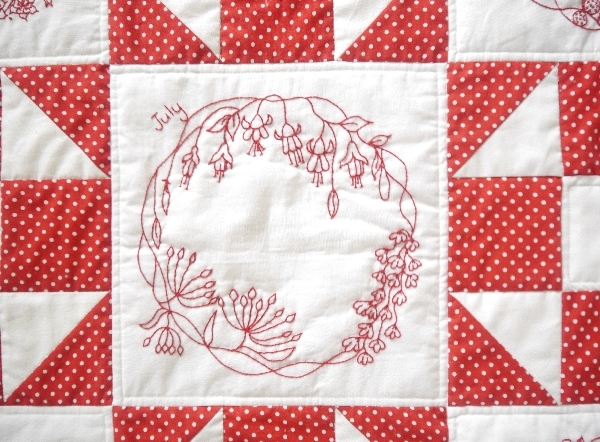 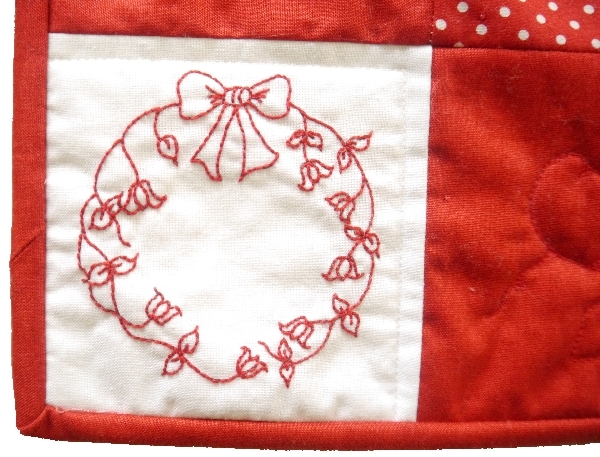 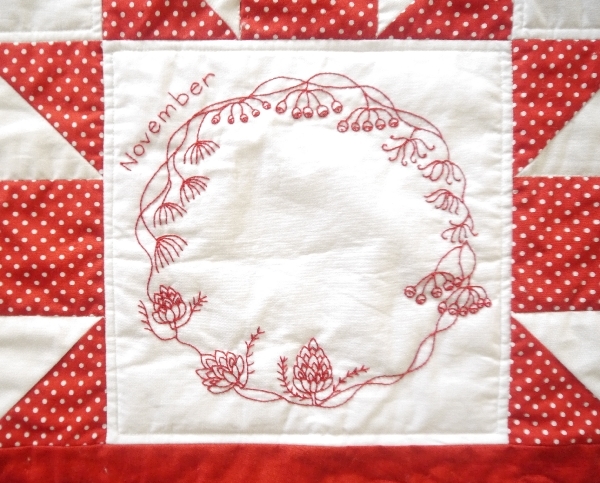 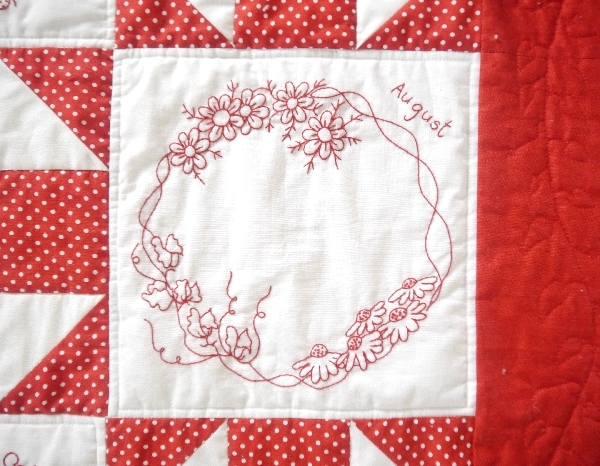 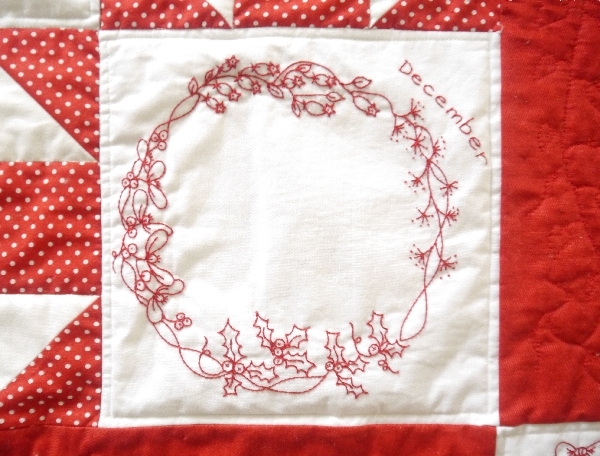 The kit includes a unique pre printed panel with all of the wreath designs ready for you to start stitching. 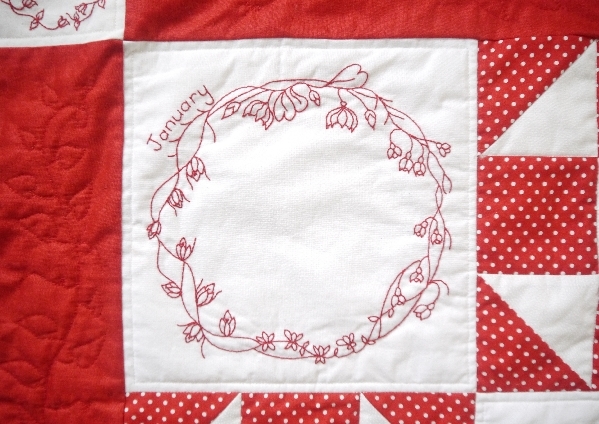 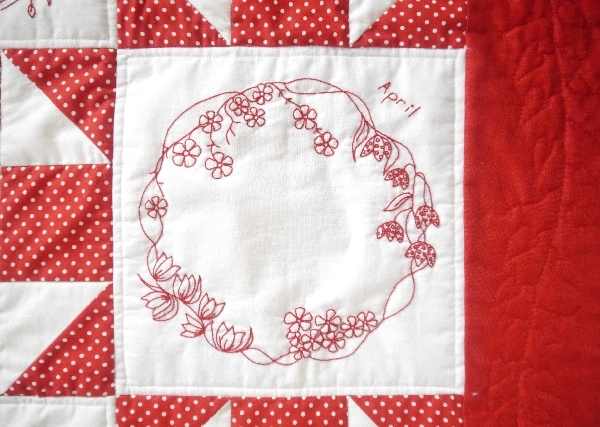 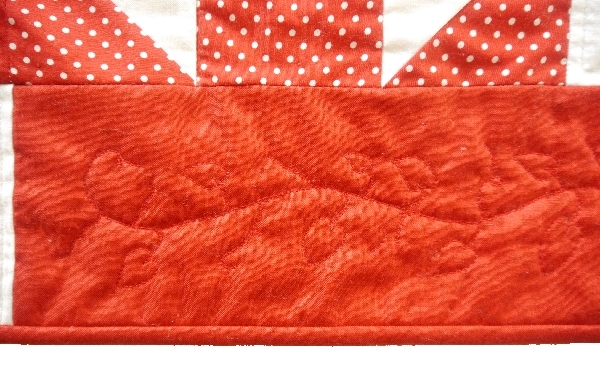 It also includes the fabrics to make the quilt top, 12 skeins of embroidery floss and the pattern with full instructions. 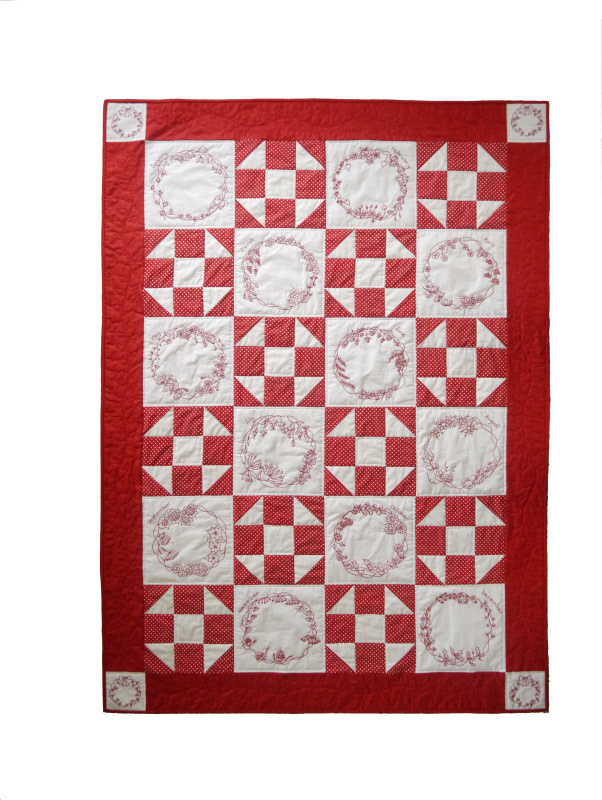 The quilt measures approximately 44 x 60 inches.